It’s been hot and humid all day, with a huge breeze. I love such weather and opened all the windows as widely as I could. I also did a lot of laundy, because it is perfect laundry-drying weather. The game is, though, to then get your laundry in before it starts to rain. Because a storm is inevitable. It’s a cool storm. We went grocery shopping and when we left the store, to our right it was bright and clear. To our left the sky was deep, deep bluey gray. By the time we reached home, the wind had picked up more and the dark clouds were almost upon us. The kids helped me bring the groceries in, then we ran for the laundry, which we got in just in time. Yes, I win! 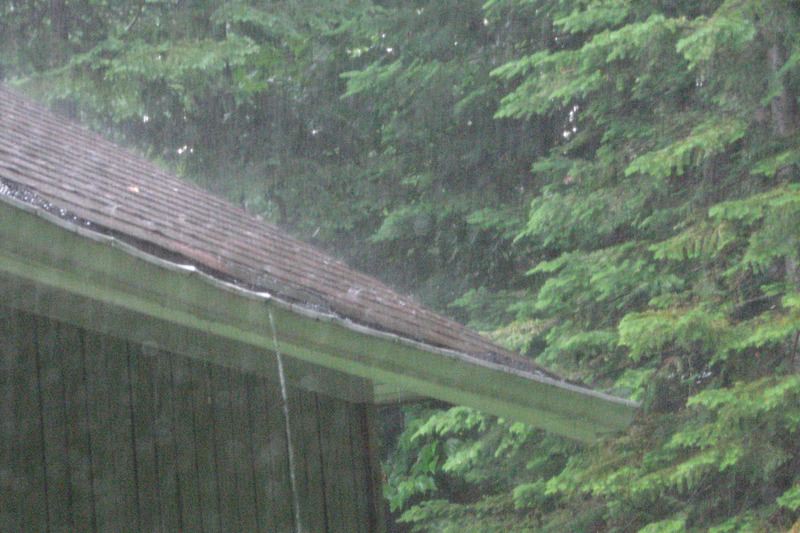 Now it is raining and hailing, with lots of thunder and lightening. I love thunderstorms. Unless, of course, I’m in a tiny tent beside a stream in Zion National Park, but that’s a whole nother story.